Bob Humphrey | Originally published in GameKeepers: Farming for Wildlife Magazine. To subscribe, click here. The role of hunters is changing. The advancement of programs like Quality Deer Management has prompted an evolution from a mere “consumer” to now a “producer-consumer,” and a “hunter-conservationist.” Sportsmen are no longer concerned with just harvesting deer. They realize that deer are a “crop” and by employing the right measures they can produce a bigger, better crop. Much of the attention has gone to providing better nutrition through habitat management, but that’s only part of the equation. The modern hunter-conservationist can also manage the deer crop by reducing mortality and increasing productivity, and it starts at the lowest level. Adult does should be producing about two fawns per year. If yours aren’t, it may be an indication you have a predator problem. In my formative years as a wildlife biologist and a deer hunter, I learned that an adult doe should produce slightly less than two fawns per year during her prime breeding years. That was the figure we used to run population models, and what I observed in the field each fall. A lot has changed since then. In theory, the does should still be producing that many fawns, but in practice, they’re not. Seeing an adult doe with twin fawns while out hunting has become the exception rather than the rule. Far too often I see does with singles or no offspring at all. One of the primary reasons is predation. The problem has gotten so bad that it was the theme for the 2012 meeting of the Southeast Deer Study Group. A recent U.S. Forest Service study in South Carolina found coyote predation accounted for between 46 and 84 percent of all deer mortality; and somewhere between 47 and 62 percent of all fawns succumbed to coyote predation. 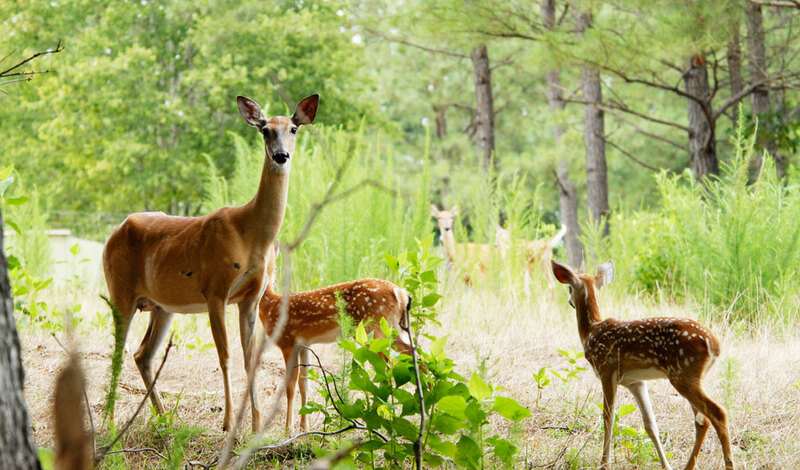 Meanwhile, South Carolina’s statewide deer population has declined by an estimated 30 percent. Other studies in Georgia and Alabama have generated similar results. And that’s where coyotes are still a relatively new predator. The problem is worse in the northeast, where coyotes have been established since the late 1970s and early 1980s. 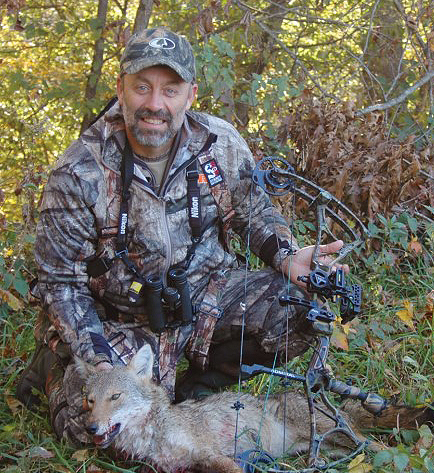 Over a decade ago, Maine deer biologist Gerry Lavigne reported that coyote predation accounted for nearly 30 percent of annual deer mortality and since then coyote numbers have increased and deer numbers declined, significantly in some parts of the state. Meanwhile, Pennsylvania researchers found black bear predation may be having a far greater effect on deer, particularly fawns, than was once thought. Elsewhere, the Upper Midwest has wolves, and though they have less of an impact, bobcats and mountain lions also take their share of deer. hunting that you don’t pass up targets of opportunity. Still, the biggest culprit is old “Wile E. Coyote.” Numerous examples were cited at the Southeast Deer Study group meeting before somebody finally acknowledged the elephant in the room by admitting that coyotes are here to stay, and widespread efforts to eradicate them have failed time and time again. That doesn’t mean they can’t be controlled. This past winter marked the beginning of a somewhat controversial program to do just that in Maine, where deer concentrated into winter yards are easy prey. The Department of Inland Fisheries and Wildlife (FW) designated priority areas for deer recovery. For the first phase of the program, they recruited trappers, who were instructed to concentrate their efforts in these priority areas during the fall trapping season. The second phase involved concentrated hunting efforts in the same areas, once winter yarding conditions exist. Time will tell whether it’s effective, but even if it saves a few deer, it’s a step in the right direction. Elsewhere, concentrated trapping and eradication programs have had some success in small areas. It should be noted; however, that such efforts are only a short-term (annual) remedy and can be quite expensive. Dr. Karl Miller of the University of Georgia estimates the cost of intensive trapping at between $200 and $300 a day. 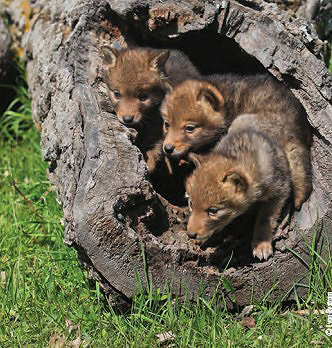 Miller also noted there may be more cost-effective ways to counteract coyote predation. Deer, like many prey species, have developed an adaption to predation called “predator swamping.” By dropping fawns in a relatively short, synchronous time period, they produce a glut of potential prey. Predators can only take so many, leaving the others time to “get their feet under them,” growing enough to better elude the predators. In order to produce a lot of fawns, however, you need a lot of does. If you don’t already have them, you may have to cut back on your antlerless harvest. Even if you do have a healthy herd, you may have to cut back to compensate for increased predation. Harvesting antlerless deer is an important part of any management program, regardless of herd status. But status often determines when and how you go about it. It may seem counterintuitive at first, but if your goal is growing the herd (and increasing fawn production), your harvest effort should be targeted toward younger deer. Remember, mature does are the most productive, and removing them has the greatest impact on both immediate and long-term population growth. Furthermore, younger deer are often the most abundant age class, and in a healthy population, there should be more than enough to replace annual adult mortality, which means there is a surplus. And because fawns contribute little or nothing to herd growth the following year, and yearlings contribute less than mature does, removing them has less of an impact on the population. The exception to this is something biologists refer to as a predator pit. In some cases deer numbers and production rates are too low to compensate for mortality. Recovery may take a combination of no doe harvest and intensive trapping. One of the basic principles of quality deer management is a well-balanced age ratio, in both sexes. This is typically accomplished by allowing more bucks to reach older age classes. They tend to be more effective at breeding does, which means better productivity. Another net effect is a more intense and synchronous rut. This, in turn, leads to a more synchronous fawn drop and predator swamping. before developing your doe harvest plan. “When” you remove does also factors into the above equations. Many hunters are concerned that removing does before the rut reduces the number available to breed. But if your population is healthy enough to remove some, that may be the best time. Fewer does means more competition among bucks, which can shorten and intensify rutting activity. Think of it in terms of economics. Energy is currency to a deer, and the overall goal is to take in more than you spend. Both bucks and does exert a certain amount of energy toward breeding. Remove a doe after the rut and all the energy invested in her by a buck is lost. But if you remove does before the rut, that buck will exert all his available energy toward does that will likely still be around to produce fawns the following spring…energy well spent. In order to work as intended, a stool needs at least three legs, and the “third leg” of the “fawn recruitment stool” is managing habitat to provide more and better nutrition and cover to aid in concealing and escaping from predators. Healthier deer are better able to avoid predation and produce more offspring. You can find plenty of specific information on habitat management in Gamekeepers, so there’s no need to go into too much detail. The key is to provide year-round nutrition and edge cover for living spaces and escape opportunities. Admit it, the primary reason we plant food plots is to kill more deer; so most of our effort is directed toward fall plots (cool-season annuals). But if we plant the right types of plots, we’ll have more deer to kill. That means planting sufficient acreage in warm-season annuals, in addition to perennials, which will help deer through particularly stressful periods like early spring - when nutritious food is scarce and fawns are beginning to develop more rapidly - and late summer - when nutrition is declining but energy demands on nursing does are at a peak. It also means planting sufficient late-season crops to help deer through the post-season bottleneck of winter, when natural food is least abundant and least nutritious. Food plots and supplements aren’t the only way to increase available nutrition. Mast is a particularly important natural food and planting trees to provide both hard mast (acorns and chestnuts) and soft mast (apples and persimmons) can provide a real boost. It’s amazing the tonnage that you can tweak out of your native plants with a little help. Once the initial work is done, it’s also a long term and relatively maintenance free method, and may even fill in nutritional gaps left by other crops outside their growing season. numbers is right before fawning season. There’s a lot you can do with natural vegetation too. A selective firewood or timber cut puts money in your pocket to spend on other things and has fringe benefits. The downed tops provide an instant source of coarse, woody browse, which is a principle winter food source for deer. Hardwood stumps will produce suckers, providing still more woody-browse in subsequent seasons. And, increased sunlight reaching the forest floor will result in denser underbrush, providing better cover for newborn fawns. You can accomplish the same with small-patch hinge cutting or rotating fields, allowing some to go fallow; or planting CRP grasses. The basic steps for improving fawn production involve reducing or removing predators, controlling the harvest and managing habitat. All of the above are accomplished in several different ways, some of which are described above. You’re limited by your own imagination and creativity to find more. But no one method is enough. By integrating “all of the above” into your management plan the total becomes greater than the sum of its parts, and the end result is more deer and a more satisfying and enjoyable experience. 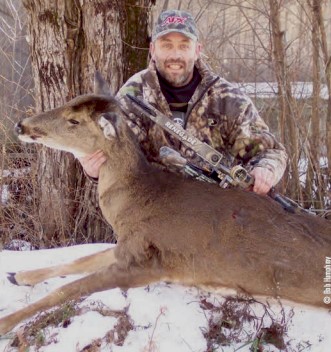 Bob Humphrey is a certified wildlife biologist, outdoor writer and a registered Maine guide who splits his time between producing, harvesting and consuming wild game. Imagine you had two buck fawns with equal genetic traits. If one buck fawn starts life in good standing with ample nutrition and low stress but the other doesn’t have those benefits, as an adult the fawn that started off well will always have the potential for a better set of antlers - even if they eventually live on the same property. A good start is very important to a whitetail’s life. 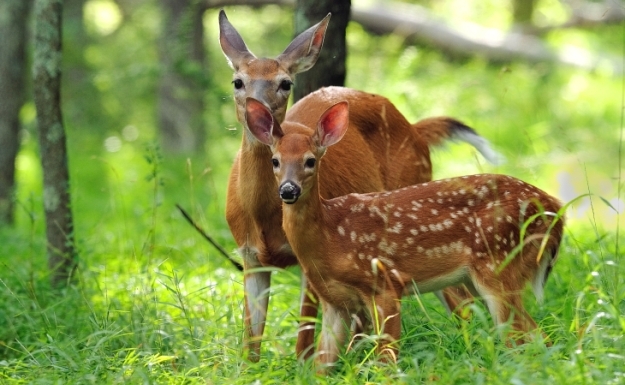 A good beginning to a fawn’s life is important and now is time to prepare for fawning season. There are several things we can do to get our fawns off to a great start. Make it easy for the doe to intake the necessary nutrition.